The federal government of Nigeria has implored labour unions in the country not to go ahead with its planned strike for Wednesday, 18th May 2016. Labour unions had threatened to embark on a strike action if the federal government doesn't reverse the 67% hike in pump price of petrol. There were also talks about increasing the N18,000 minimum wage for government workers. Secretary to the Government of the Federation, Babachir Lawal, in a statement assured that government will guarantee the safety of workers and their work places, and expects that normal work will continue in the interest of the nation. Mr Lawal added that acts of intimidation, harassment, including barricading of gates, locking up of offices and preventing workers from carrying out their lawful duties will be met with appropriate response by security operatives. 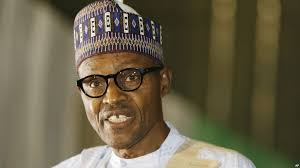 The federal government has also directed all ministers, permanent secretaries and heads of government agencies to invoke the provision of “no work no pay” in respect of any staff who is absent. The Ayuba-led faction of the NLC and the Trade Union Congress, TUC, had decided to embark on a nationwide strike after meetings with the government deadlocked. The Ajaero-led faction of the NLC however sheathed its sword.